On Thursday, Barney McAll is presenting a concert that will be to filmed and tracked live in front of an audience – we’d love to see you here. The concert will be the culmination of Barney’s development and tracking of EVERY PIANO NEEDS A HOUSE IN IT here at LOOVE. This project features Barney on piano, laptop, and chucky (his handmade instrument which consists of various music boxes, kalimbas, glockenspiels, etc.) accompanied by the sonic manipulations of Tyler Gilmore on laptop. Describing this project as soundscapes that are “sometimes textural sometimes hymnal sometimes apoplectic sometimes sensitive sometimes dream-worthy” Barney is a gem of a musician who converses in many musical dialects, weaving unexpected timbres and colors into his compositions, making “solo piano” a truly dynamic sonic experience. This session is an exciting moment for us at LOOVE: it expresses the model we’re building to present and support the work of artists we believe in. Combining the advantages of the oldschool record deal – providing resources for artists and being their champions – with the transparency and collaborative process afforded by the internet, we can present music from fertilization to fruit, so to speak. Our investment in the production, team, promotion, and distribution is ultimately tuned to become a seamless part of the whole; everything we do is support the art and the artist – the ideas, concepts, process and, most importantly, the music. Not only that, we know that exchange of energy between audience and artist contributes to the integrity and communicative nature of musical performance. As witnesses, audience members make music sound the way it does. We open the door to the studio to facilitate that direct vibrational transaction, then funnel the vibrations to our online forum, so the story of how the music is made becomes a magnetic aura surrounding the music itself. To RSVP: Join the Witness Participation Program. This campaign is not designed to cover the $5-10K in production expenses for this project; rather the $250 crowdfunding goal aims to cover the artist payment and the hospitality expenses of the event itself. Please pledge your support to indicate your presence at the event and add your voice to the story of how the music was made. 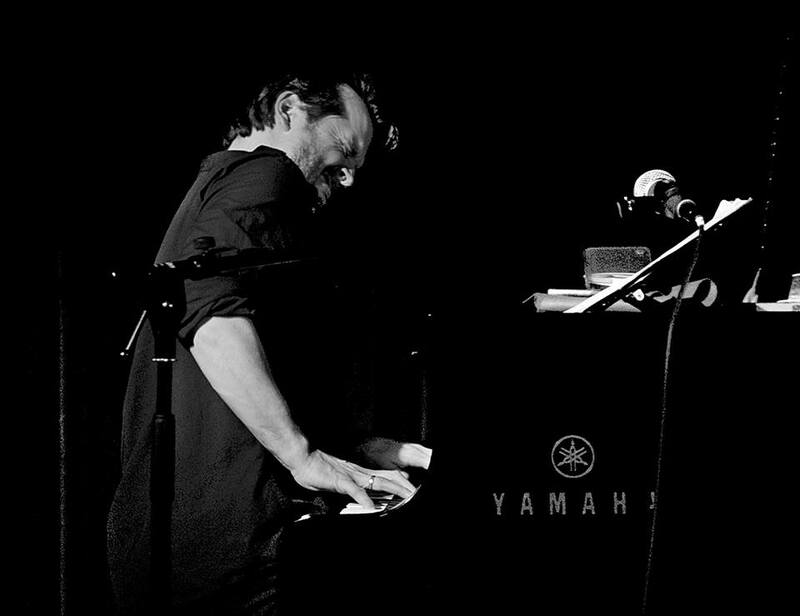 Pianist, keyboardist, composer and arranger Barney McAll moved to New York City in 1997 after being invited to join the Gary Bartz Quartet. He continues to tour internationally with Bartz as well as with Fred Wesley and The JB’s, Josh Roseman, The Groove Collective and recently vocalists Daniel Merriweather and Sia Furler. Barney leads numerous ensembles including Sylent Running and M.O.D.A.S and his new ensemble Graft which features 16 piece Invenio Choir, two pianos, Vibraphone and laptop. He has scored numerous award-winning films and released several critically acclaimed albums.